In case you’ve lost track of Demo Days around here, there’s a pretty interesting one happening today. 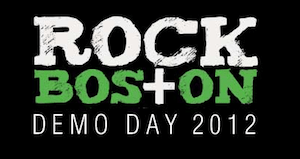 Rock Health, the grant-giving healthcare accelerator that started in San Francisco, is holding its inaugural Rock Boston Demo Day at the Broad Institute in Cambridge, MA, at 2 pm. You could be forgiven for confusing the various health-tech programs that have popped up over the past year or two (especially since they almost all have “health” in their names). Besides Rock Health, there is Healthbox (now in Boston), Blueprint Health (New York), West Health Incubator (San Diego), and others. But Rock Health is certainly one of the pioneers (see my colleague Wade’s previous coverage here and here). The Boston program is run by Sarah Pollet, Rock Health’s chief operating officer. The inaugural East Coast class consists of seven startups, which I’ll preview below, but if you want the inside scoop, you’ll have to come to the Broad this afternoon. The venerable John Halamka from Harvard Medical School and Beth Israel is giving the keynote. —Home Team Therapy is using video and Microsoft’s Kinect to help people exercise at home. —Neumitra is using data-driven tech to address the effects of stress on health and lifestyle. —NeuroTrack Technologies is developing tools to diagnose Alzheimer’s and mild cognitive impairment. —NoviMedicine is developing a virtual office visit platform for dermatology. —Podimetrics is working on a home device to combat diabetic foot ulcers. —Reify Health is developing tools for medical experts to use in mobile health interventions. —RxApps is using text messaging and Web apps to help patients track their illnesses.